Intelligence is critical to manage life. What makes each one of us intelligent? A lot of things and specifically a bold way to manage the whole of one’s self in a proper way through its many changes and layers. Being intelligent can be associated with a variety of things and it differs according to the angle one looks at the concept. Looking at the technical etymology, intelligent comes from the Latin language, and it stems from intelligēns, the present participle of intelligere, variant of intellegere to understand, that means literally. This word is close to be chosen between, the equivalent to intel– (variant of inter-) + –lig– (combining form of leg-), stem of legere to pick up, choose; cf. lection + –ent. The word can be used as an adjective or as a noun. As an adjective, “Intelligent” is associated with being bright, therefore describing a given distinctive particular mental capacity. Being “Intelligent” often suggests a natural quickness of the ability of understanding: an intelligent skill. To be an “intellectual” implies not only having a high degree of understanding, but also a given capacity and taste for the higher forms of knowledge: intellectual interests. The word intelligent is also associated with attributes of personality such as: astute, clever, alert, bright, apt, discerning, shrewd, smart. Having a good understanding or a high mental capacity creates highly motivated people who tend to make better leaders of will and life. 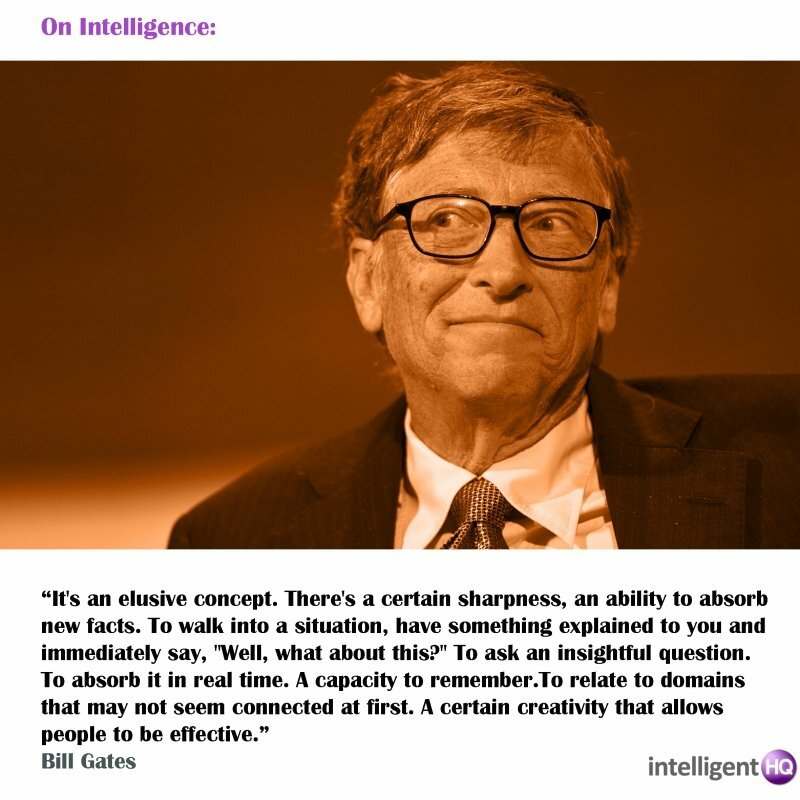 In business particularly, being intelligent is critical for success. Business comes associated with the right balance of business intelligence, a skill specially necessary for being a good leader. it is skill associated with mathematics with something of pertaining to the ability to do data processing, being smart; also it is the virtue of having the right necessary understanding or knowledge at the right moment. Intelligence is therefore a trait made up with the layers of one´s personality. It is a powerful emotional and cognitive capacity that lets us manage the human drive we all have inside, and it´s interaction with our ecosystems. 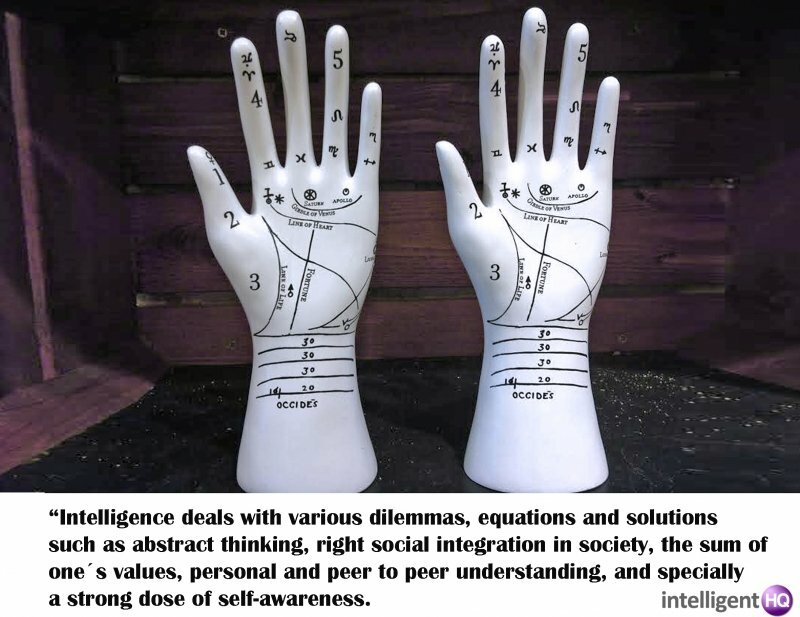 Intelligence deals with various dilemmas, equations and solutions such as abstract thinking, right social integration in society, the sum of one´s values, personal and peer to peer understanding, and specially, a strong dose of self-awareness. Being intelligent is also associated with having sharp communication skills and capability to manage wisely our life long learning curve. In the end, being intelligent is above all having the right social and emotional intelligence, which is something critical to understand knowledge, behaviour, retaining, planning, and the best way to problem solving. It is a life progression happening through the ‘minimal effective dose.’ Taking small steps turns such steps into habits, and you’re less likely to skip it. The right angle on how we manage intelligence affects the discipline of our own will and psychology, but the best way to do it is with harmony, and in a balanced way. By the end of the road intelligence has to do with a capacity to do something groundbreaking, pushing things forward step by step. 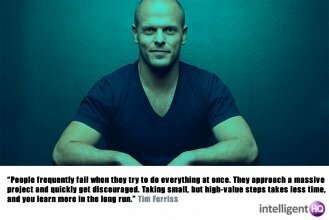 But to do it, one needs to get out of the comfort zone. 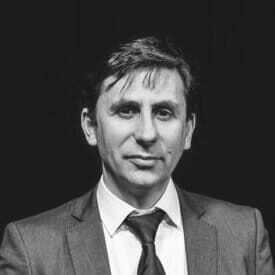 The best way to look at intelligence is to survey how great minds have approached intelligence for their own motivational drive, their leadership, and how they dealt with it on their life´s time. The following selection of excellent intelligent motivational quotes can help in the process of changing a life one day at a time. Looking at what other great people said, their “powerhouse quotes” which can be understood as a synthesis of cognitivo-emotional data, can help us leading our lives. I divided this list of quotes through elementary keywords, that are all part of the lexicon of intelligence, motivation and leadership. These are: vision, drive, change, failure, obsession, motivation, friends, attitude and goals. The quotes come from different personalities in different times and contexts: the Bible, Albert Einstein, Mark Cuban, Bill Gates, Albert Camus, Salvador Dalí, Friedrich Nietzsche, Napoleon Bonaparte, Peter Drucker, Warren Bennis, Tony Blair, Zig Ziglar. These have been helping me to change my life one day at the time. 27. “Man’s mind, once stretched by a new idea, never regains its original dimensions.” Oliver Wendell Holmes Sr.